1969-73 Mustang and Ford Neutral Safety Switch Assembly for FMX Automatic Transmission. Exact reproduction of the original made using the original blue prints and NOS samples. 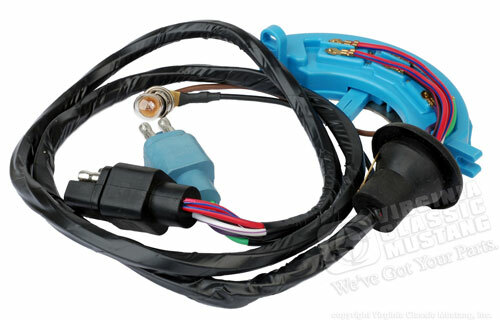 Ford replaced the 1969-70 version with the 1971-73 version which has an extra wire for accessory options. When installed on 69-70 Mustangs, you can just leave this wire or cut it off.